Eden Hazard has travelled for Chelsea's clash at BATE, but Marcos Alonso, David Luiz, Antonio Rudiger and Alvaro Morata have been left at home. Sarri wants Hazard to get some additional match action, after his return last Sunday, and insisted the flight was not a problem for the Belgian. "For our doctor, there is not any risk, otherwise he would stay in Cobham, of course," the Italian said. "We thought for him it's better to play, not for 90 minutes, but to play after two weeks without training. In the last match he played only for 30 minutes. Tomorrow the best for him is he will play 45, 50 minutes." Chelsea will be seeking a fourth win from four Europa League Group L games in Thursday's contest. They will be confirmed in first place with two rounds of matches to go if they win and the other game, between Vidi and PAOK in Budapest, is drawn. 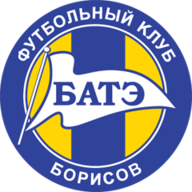 BATE have won their last three domestic league games and on Sunday clinched another Belarusian league title. 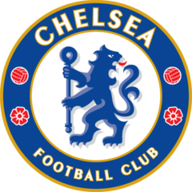 However, they have not won any of their of their European home games this season and followed up a win at Vidi of Hungary by losing to PAOK Salonika of Greece and 3-1 at Chelsea. Hazard missed three matches with a back problem before returning as a substitute in Sunday's Premier League win over Crystal Palace, but has made the journey to Belarus. Morata scored twice against Palace, but Chelsea have opted to rest the in-form striker. Cesc Fabregas was a late withdrawal through illness, resulting in N'Golo Kante travelling. Chelsea defeated BATE Borisov 3-1 in the first-ever meeting between these two sides in the preceding match day. BATE Borisov have now lost four of their five meetings with English clubs (W1). All matches were in the Europa League group stages. BATE have managed just two wins in their last 15 Europa League games (D5 L8), scoring 13 goals and conceding 33. Chelsea have now won six consecutive Europa League games, since a 2-3 defeat at Rubin Kazan in April 2013. Chelsea have had the most shots in the competition so far (73), while also facing fewer than any other team (15). Chelsea still need to keep their momentum going, especially up front as they are scoring goals but still looking a bit dodgy at the back. BATE can be awkward opponents but this is a no drama game here with a regulation Chelsea win.